This has to be the worst imaginable iPad car mount solution I have ever seen, which is exactly why it’s so funny. 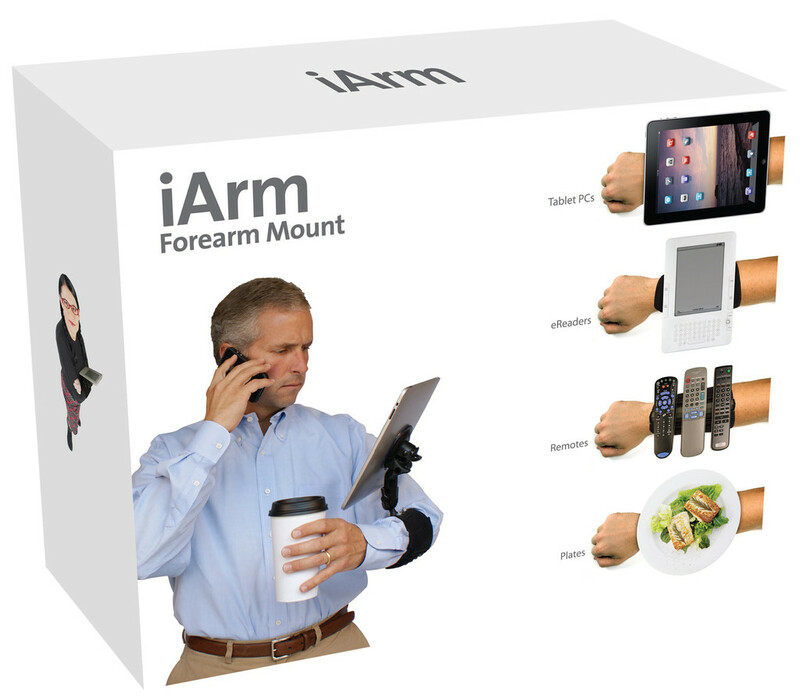 Mounting an iPad to your arm, seriously, can you come up with a worse idea? Who wouldn’t want an iPad mounted to their arm, right? Look how handy this could be! Absolutely hilarious! You can wrap it and give it to someone as a gift, maybe put a real mount in there if you wanted to, who knows? Or put a lump of coal in there? If you actually do want an iPad car mount though there are several legitimate solutions out there, ranging from velcro to actual hardware dashboard installations that will mount an iPad (or an iPhone) directly to the dashboard of any car. Those are totally viable, so if you want an iPad in your car, maybe go with that. But please. 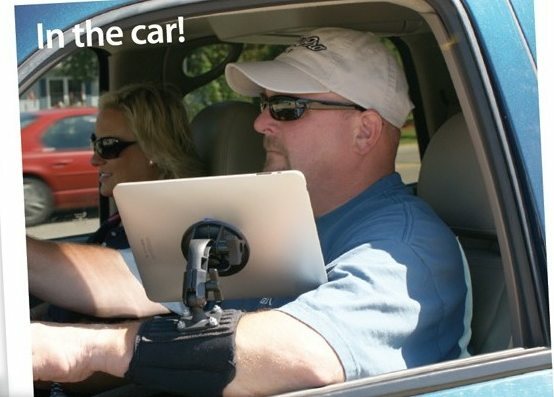 Just don’t strap the iPad to your forearm and attempt to use it while driving, please. That would be outrageously stupid, not to mention dangerous. This is a joke after all, it’s not a recommendation! I need something like that but for my iphone when I am cycling and I need to see maps. Anyone know if it is sold by someone? This is genius. This is exactly where an iPad belongs. When I first saw the image I was like Darwin Awards candidate lol, thank god its a joke, I wouldn’t put it past some people though.